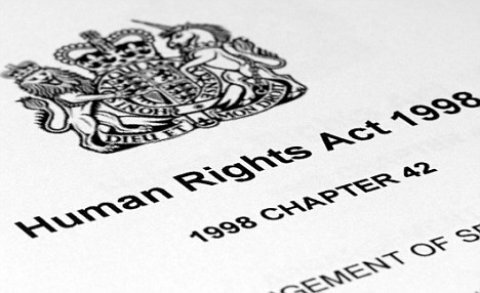 As we approach the European elections, we’ll be reminded yet again that the Tories want to repeal the Human Rights Act (HRA) and possibly pull out of the European Convention on Human Rights (ECHR) altogether. The issue unfortunately gets conflated with Britain’s membership of the EU, which has nothing to do with the HRA or ECHR. It suits the Conservatives though, who like to tie the ECHR’s fate to popular Euroscepticism. The ECHR is an international human rights treaty that counts Russia and Turkey as signatories, among many other European countries. It was inspired by Churchill and championed by British Conservatives in the post-war era. The HRA is the piece of legislation, introduced by Labour in 1998, that incorporates it into UK law. The European Court of Human Rights enforces the ECHR through its judgements. The ECHR and HRA have given critical protection to British people facing all sorts of challenging circumstances. They have been used to help women fleeing domestic violence, stop cases of modern day slavery, ensure equal treatment for LGBT people, prevent older people from being separated from their husbands and wives in care, stop discrimination in the workplace, and maintain the ban on corporal punishment in schools. Labour is going to fight hard to defend these protections. And LCHR is going to play an important role finding the path to a successful defence. This week we announced our new campaign focused on defending the ECHR and the HRA. If we’re going to win this argument, there are some basic questions we have to resolve. Should we argue for reform of the ECHR and the Court or should we defend the status quo? Is there room for a British bill of rights? Can this issue be disentangled from Britain’s membership of the EU? And how can we make human rights appealing to people on the doorstep? We intend to make clear recommendations on all of these important questions. The trick will be to effectively defend these human rights instruments while staying on the side of reform. We also need to build a coalition. The ECHR and the HRA are the darlings of the British legal establishment, but we need support from elsewhere if we’re going to shift the debate. We need to reach out to the union movement, socialist societies, celebrities, and the private sector. If we can build a groundswell of support for human rights, we could potentially put the Tories on the wrong side of public opinion. But we won’t be able to achieve that unless we find a way to rehabilitate human rights as well. In recent years they’ve suffered from an unfortunate association with terrorists, prisoners, and others who are anything but popular. We need to start talking about what human rights do for people like you and me, and how we think the ECHR and the HRA should be leveraged to defend our rights. Our campaign will be called “Our Act. Our Rights.” because it’ll be about reclaiming human rights for our own families and communities. That’s not to say we should forget about the role the ECHR plays outside of Britain. It offers a very practical defence against human rights violations in countries like Russia and Turkey where the human rights situation is deteriorating. Britain should be helping to strengthen and protect that defence, not undermining it by threatening to pull out of it. What kind of a message does that send to countries who would like to withdraw from the ECHR to make it easier to crack down on political dissent? We look forward to bringing the Labour movement and our partners together in support of the ECHR and the HRA. Please give us your support by participating in our campaign activities, donating, or sending us your ideas. With our combined strength, we could end the forward march of those who use human rights as a term of abuse and show how everyone has a stake in the fight to defend them.